World War II monument in Speno Park. 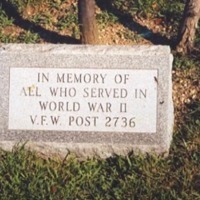 Footstone with inscription "In memory of all who served in World War II V.F.W. Post 2736"